This year at “Spark The Change” London I felt like a veteran. It’s strange as it’s only the second time the conference has been organised. Perhaps it’s the familiar venue (and an excellent one at that) or the familiar faces I remember from last year (even if there were many new faces too) or the general theme of the event that has always been close to my heart. When the conference was announced I got an email boldly claiming: “So this year […] makes last year look like we were winging it.” A tough job given I still remembered the amazing talk form Dr Paul Thomas, inspiring vision from Tim Harford, and challenging workshop form The SO Team, just to mention the few highlights from last year. Turns out I really was in for a treat again. From the moment Helen made the first introductions, the first talk by Mark Stevenson (big personal highlight this year for me) to the very few final sounds of the songs we sung together at the last session it was a blast. Yes. We actually sung together. Everyone. And (Nick, can I start a sentence with an “And”?) we sounded rather nice too. Plus I got to write my Bio as a Haiku. Win. Hierarchies are on the way out, networks are on the way in. Don’t look to get promoted, look to get distributed – as an individual, as an organisation, as a nation. Now it all becomes clear, it all begins to take shape. The presentations from W. L. Gore & Associates, Gov.UK, Monmouthshire Children’s Services, Spotify, Propellernet and others were all tangible, specific and encouraging stories of institutions and organisations that are reinventing themselves and the way we do and think about work. They are the real sparks of change that will take us into the 21st century. We need more sparks like this. We need more people understanding the future that’s unfolding in front of our very eyes. Will you be there next year? First, there was the volcano in April and some speakers couldn’t make it to Atlanta so we had OpenVolcano 2010. This was just an appetiser. 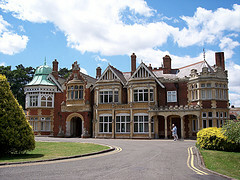 Today was another tasty bite, a conference at Bletchley Park organised by Karl and Rachel (to coincide with Agile Coaches Gathering), with a bunch of great presentations initially destined for Atlanta. 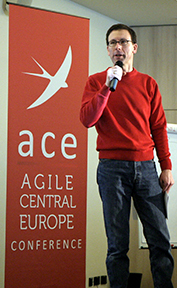 The day was nicely concluded by Eric’s talk adapted on the fly and a quick fishbowl session. Kanban is becoming increasingly popular, useful and adaptable as a tool that help visualising the system and thus facilitating learning and creating a shared understanding. The main challenge still remains with over-engineered organisations that are bafflingly refusing to embrace the lean goodness defending the status-quo. Thanks to the organisers, the sponsors, presenters and all the great folk from the community. It was a day well spent. Presentations and podcasts should be available on Skills Matter website.